Six New Zealanders have made the Forbes Asia 30 Under 30 list of the hottest "game-changing" entrepreneurs. Six New Zealanders have made the Forbes Asia 30 Under 30 list of the hottest “game-changing” entrepreneurs – and one of them gave Auckland business culture the bash when approached by the Herald. The business publication identified 30 game-changes – or GCs, if you will – in 10 categories (making it a 300 Under 30 exercise, if you want to be pedantic). • Florence Van Dyke, a star triathlete and corporate lawyer when her sister Chloe founded CHIA, a healthy energy drink brand that produces bottled juices with hydrated chia seeds. 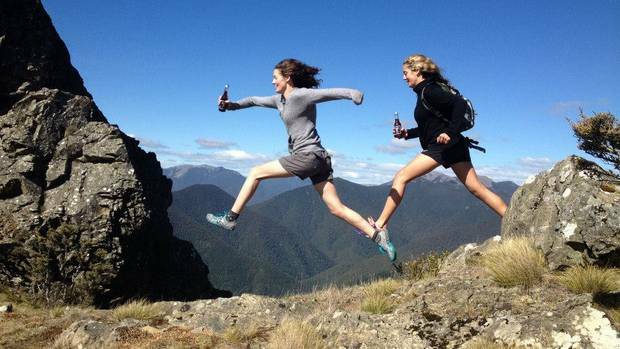 After the Nelson brewery where they bottled their range closed on short notice last year, the sisters had just four weeks of stock and faced the prospect of going out of business. “We had to decide whether to pack up shop or leap forward,” Florence Van Dyke explains. The sisters set about lining the roof with 30 solar panels that can produce more than16,000 KW of energy, installed bottling equipment designed in partnership with Massey University and Callaghan Innovation and expanded their range to include “Bottled by the Sun”, a range of fresh pressed New Zealand fruit juices. Sisters Chloe and Florence Van Dyke are using solar power for their revamped operation producing their CHIA and other drinks in their natural range. Photo / File. • Ezekiel Raui, founder of TuKotahi (“Stand as One), a programme designed to tackle youth suicide and mental health issues through youth workshops where young people are given peer counselling services. 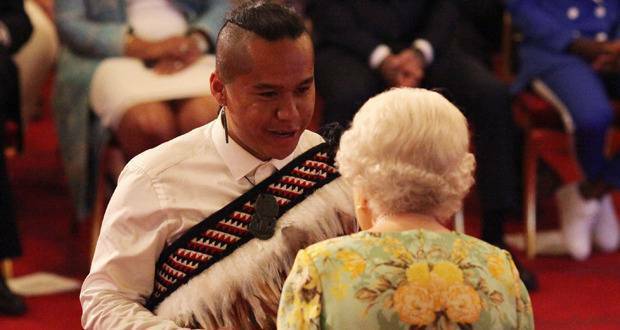 Ezekiel Raui, then 20, receives a Young Leaders Award from Queen Elizabeth II during a ceremony in the Ballroom at Buckingham Palace in June last year. Photo / Getty. • Elinor Swery, a senior solutions architect at Soul Machines, the virtual assistant startup behind 3D avatars such as ANZ’s Jamie, Air NZ’s Sophie, Mercedes-Benz’s Sarah. • Kimbra Lee Johnson, aka Kimbra, the Grammy-winning musician who recently made her acting debut in the musical-drama Daffodils. • Ben Forman, co-founder and chief executive of Wrestler, a three-year-old independent creative agency specialising in video production, virtual reality and augmented reality. Wrestler, which has 15 staff, was also 47th in the New Zealand Deloitte Fast 50 index and 330 on the Deloitte Technology Fast 500 Asia Pacific. Forman told the Herald that 30 Under 30 list is compiled from nominations. He was nominated by someone on last year’s list. He knows who but doesn’t want to reveal the name. 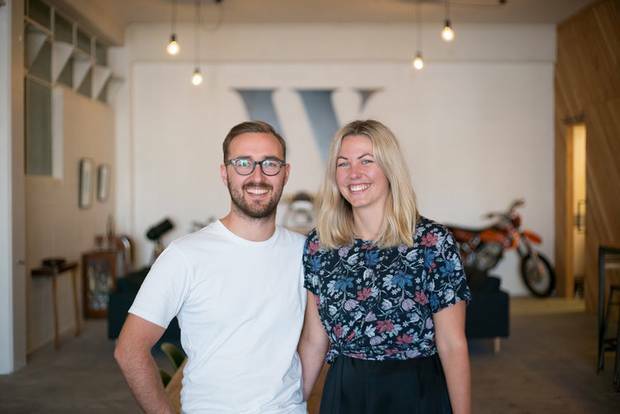 His company’s bragging rights include campaigns for the likes of Singapore Airlines, NZ Post and Wellington NZ – for which it made the fully immersive WellTown, billed as the first “gamified” virtual tour of a city (the six WellTown experiences include one that lets you fire coffee shots at caffeine deprived morning zombies). Wrestler co-founders and co-owners Ben Forman and Kat Lintott. Photo / File. Forman (29) says he has ambitions to conquer the globe, but wants to do so from Wellington. His company made its bones with a “360 video” campaign for woollen shoe startup All Birds, which took viewers on a trip from the Northburn station in South Canterbury to fabric milling in Milan to milled to assembly in South Korea to the finished product in San Francisco. That opened doors to hot start-ups in New York, but Forman says he found the culture too hard-nosed and jarring. Similar, a foray into Auckland a couple of years ago didn’t work out. “We didn’t like the business culture. It was too dog-eat-dog. “We realised Wellington is where our heart is. There are more values-based companies here – possibly because it’s a government town. Wrestler’s last initiative is opening a post-production studio, which Forman says will allow it to expand into its own production and serve as a hub for the capital’s up-and-coming film-makers and creatives. Next articleThe tourism tidal wave: what skills do we need most?